To make the basil simple syrup, combine the water and sugar in a saucepan and stir to dissolve the sugar. Add the basil leaves and crush them with the back of a spoon to release their flavor. Bring the pan to a boil, and then turn off the heat and let cool completely in the pan. Then strain the syrup through a fine mesh seive into a glass jar. Refrigerate until needed. Combine the wine, brandy, sliced peaches, basil leaves, and basil syrup, if using. Let this hang out in the refrigerator for several hours or overnight. Just before serving add the seltzer water. 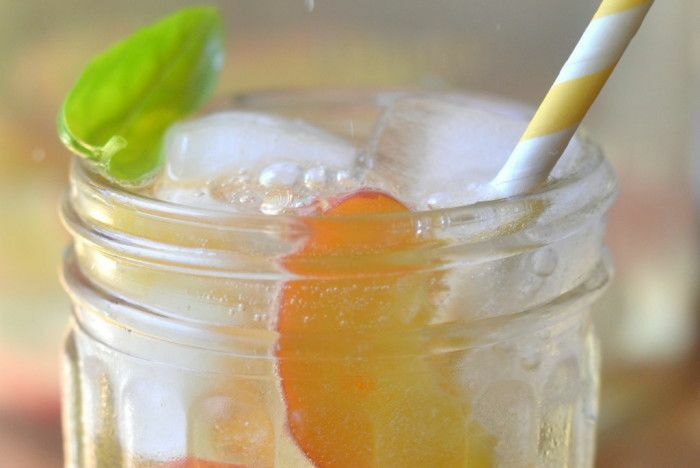 Serve the sangria over ice garnished with fresh peach slices and a basil leaf.